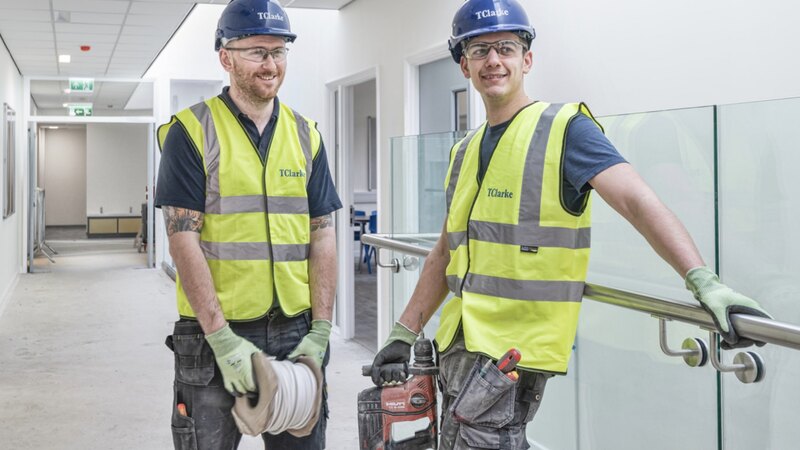 TClarke plc (“TClarke” or the “Group”), the Building Services Group, announces a year end trading update for the financial year ended 31st December 2018. The Board is pleased to report that the expected outcome for the year is in line with the upgrade that was released to shareholders on 27th November 2018; that is an underlying operating profit before interest and taxation of circa £8.6m (2017: £7.3m) and revenue of circa £320m (2017: £311m). The underlying operating profit margin is 2.7% (2017: 2.3%) and we remain on track to achieve our medium term margin target of 3%. The Group’s cash position remains robust, with the year end cash position having improved to £12.4m (2017 net cash £11.7m). The Group has available bank facilities comprising a £5m overdraft facility, repayable on demand, and a £15m revolving credit facility expiring on 31st August 2022. At 31st December 2018 the Group had not drawn down any of these facilities and hence is debt free. This remains the case at 31st January 2019. Our established strategy is to selectively target projects that we believe will add value and strengthen the margin profile of the Group. At 31st December 2018 the forward order book stood at a record £411m representing a 22% growth year on year (2017: £337m). Our Technologies sector has been the main driver of this increase, up almost 400% to £54m. The Board remains encouraged by the continued opportunities available to the Group, particularly on high profile projects working with clients who value our ability to deliver large, complex projects successfully. The Group remains on track, with good progress being reported from each of its businesses and it remains on target to achieve the market expectations during the course of the current financial year. TClarke plc will be announcing its 2018 preliminary results on Tuesday, 26th March 2019. “As TClarke celebrates its 130th year, it is pleasing that this update demonstrates the successful implementation of our strategy both in terms of improving our profit margin and targeting areas of technology and digital integration in modern building projects that play to our core skills and capabilities. We are working on three UK data centres and our Building Controls Division, acquired in August 2017, can now boast its largest ever order book and the continued success in our other markets has led to the record forward order book for the TClarke Group as a whole.